This guide is intended for community members who see an opportunity to create better streets, but may be struggling to get their neighbors on board or spur government officials into action. The guide will also be presented by Project for Public Spaces at Walk/Bike/Places 2018 on Wednesday, September 19, 4:30 to 5:30 pm—register today! Urban planners and traffic/transportation engineers generally agree on best practices in street design: that accessibility and safety are of utmost importance, along with flexibility of use and a mix of activity. But far too often, residents and local officials lack the necessary resources or motivation to see these practices through to implementation. While there are stacks of resources on street design geared towards engineers, city planners, and consultants, they rely on highly specialized, discipline-specific language, frequently leaning towards theoretical resolutions rather than offering feasible, near-term solutions. What’s more, these guides tend to apply almost exclusively to wealthier and more progressive cities, therefore failing to address many of the issues facing the majority of U.S. towns and cities, where municipal red tape and bureaucratic roadblocks are far more common. With this in mind, PPS set out to create a user-friendly, jargon-free deck for communities looking to create better, safer streets. 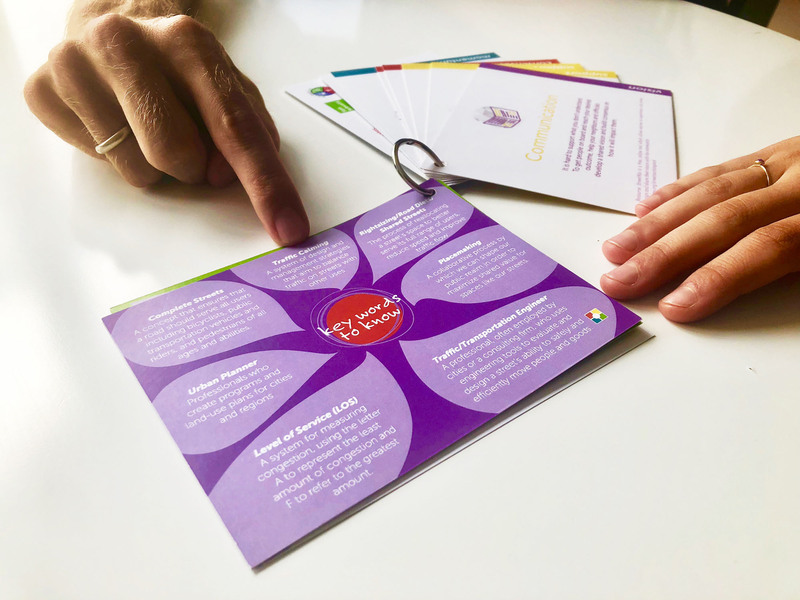 We wanted a product that would be powerful and concise, while providing concrete and actionable steps for overcoming common roadblocks and ideas for helping to build movement-building momentum. So, to better understand the strategies and hurdles involved in creating better streets, we connected with people involved in the nitty-gritty work of getting things done, including city leaders, local advocates, traffic design consultants, and neighborhood groups. 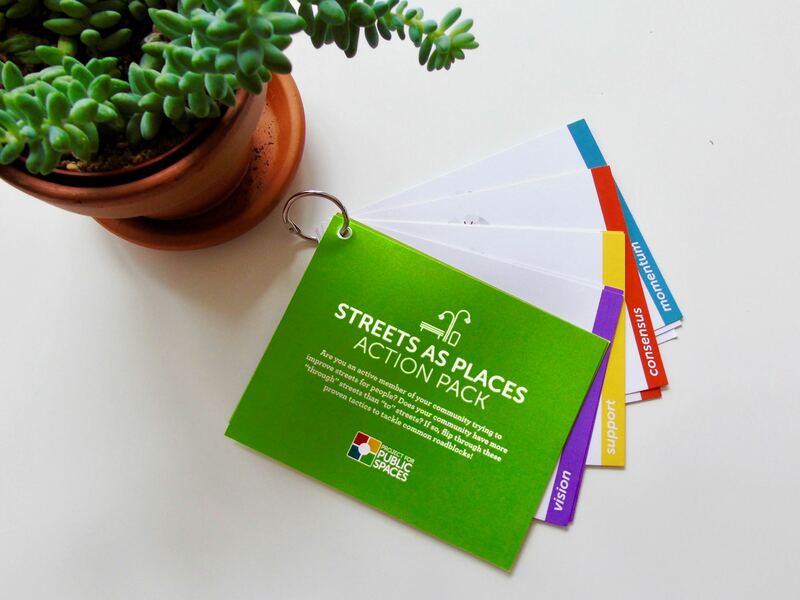 We’ve collected the results to create a Streets as Places Action Pack—a user-friendly guide that identifies the common challenges local advocates face when working to improve streets, and offers key insights and resources for addressing these issues both efficiently and creatively. Who is this Action Pack for? This guide is intended for community members who see an opportunity to create better streets but may be struggling to get their neighbors on board or spur government officials into action. Building and sustaining a movement. The Action Pack has tailored plans for every step of a new project—it’s designed to be a guide for anyone looking to improve their streets, from building consensus to keeping up momentum.